The Shins are the quintessential indie rock band. They've managed to put out three solid albums and are most famously known for blowing the musical minds of youth in 2004 when Oh, Inverted World (which came out in 2001) was finally recognized for its two song appearance on Garden State's soundtrack. 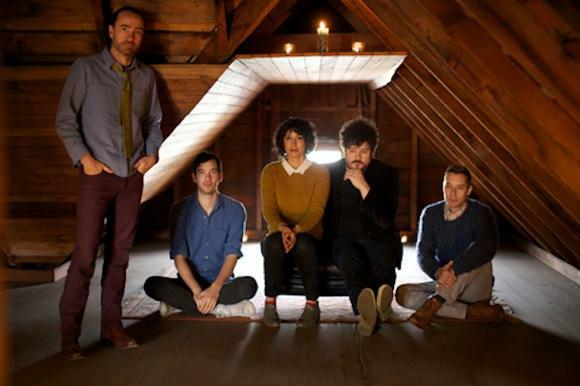 Now, The Shins forthcoming album Port Of Morrow is set to be released 3/20 and next week they will be releasing a 7" single version of "September,"-- the B-Side to their current single "Simple Song." It's got the folkyness of songs like "Gone For Good," and "Pink Bullet," from Chutes Too Narrow with the melodic and echo-heavy sound of Oh, Inverted World. Check out another James Mercer success. The Shins have also confirmed the dates of their National Tour where they will be promoting the new album.